Hi.I need some help from you people that have been able to try these keyboards. I am an amateur musician who spends a lot of time with the music hobby. I live in Argentina and I come from an organ playing background. I like playing live occidental kind of music, mainly ballads, pop and soft rock. I discovered arrangers in 2006 when I bought a PSR 1500 (the highest end arranger available here by that time). Later I intended to buy a Korg Pa800 but it didn't arrive to my country so I bought a Korg Tr synthesizer to use it basically as a sound module (wonderfull drums and overall sounds)and also to take advantage of its aftertouch keyboard. I always wanted to upgrade my arranger to the Tyros2 but it never arrived to my country and they asked 6000 Us$ for importing one for me. Finally a PSR s900 will arrive this month at 2,788 Us$. I love the Super Articulation and Mega voices of Yamaha but other than that and about other 52 sweet, cool and live voices most of the functions on this keyboard are the same than in the PSR 1500 (I don't need the vocal harmonizer). I will have to pay 2,000 Us$ for trading my old PSR (a lot of money! )On the other hand Korg has very affordable prices here. It arrived the Pa500 at 1,595Us$ almost the same price than in USA(the Pa800 will be at 3,700Us$ if it arrives). I could have a new arranger for 400 Us$ less instead of trading my PSR 1500 for a PSR s900. I will be able to try the new Yamaha but the Pa500 is not available in music stores to listen to it. Believe it or not I have to buy it first to the importer before I try it. The questions are: 1)are the Pa500 sounds similar to my Korg Tr synth?, what are Rx voices? are they like super articulation or Mega voices? 2)Is it worth paying 2000Us$ for only 90 extra voices in the PSR s900? 3)would it be better to have also a Korg Pa500 arranger which is a better controller and more flexible keyboard in relation to its overall functions? I will also be able to play other styles. The disadvantage of course is I will pile up three keyboards and it will be quite difficult to control them all at the same time playing live. Another problem is the Korg does not have the bass recognition function which allows me to play with my Roland midi foot pedalboard controlling the bass lines independently. I appreciate any opinion. Thank you. I have the Tyros2 and the Pa800, there are wonderful keyboards, so, are the ones you are considering. I also came from an organ background(Hammond X66, B3, Yamaha Electones, etc). It is possible to use the PK5, PK7 Roland or any midi pedal board for bass. (I did use the Studiologic/Fatar MP17. You Just need to assign the proper midi channel in either of your choices. The RX technology Korg came out when the PA1X/PA1X Pro where unveil, at the time the Tyros1 had only the Mega sounds that are suitable for style or midi file playing, also had the Live, Cool and Sweet sounds, but to MY ears, THEN, the Korg sounded better. 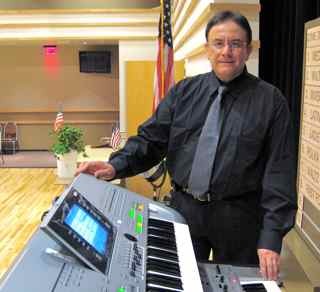 When the Tyros2 came out, and I play with the new S.A. I knew that I will have to have one, and I did, and I am very happy with it. To me, RX sounds are more like the S.A. sounds, because you can play live with those, you can not with the "Mega" sounds in the Yamaha. I know it for my own experience having both brands. Also the learning curve in the Korg it may take sometime to get used to, even more if you are already familiar with the PSR user interface. ALL the user interfaces can be EASY when you KNOW them, is just matter of time and the effort you put into it. THe Tone generation on the PA500 it contains many RX sounds of the PA800, besides the TR sounds that you are familiar. Score view in the PSR if you think you need it. This feature is NOT available in the Korg. If playing a midi file in the PSR, if you don't like the drum track, you just select the style that has the drum pattern you may want, and just press start in the Arranger section and it will be Synch, the benefit of this is also you can put the Fills, breaks change variation, etc. Since the PA500 is a tad smaller than the 800 and I do not have one, I did notice when I went to the store to see it, it does have a LARGER screen than the 800, larger Icons, only that is monochromatic, not in colors. But is EASIER to see it. only if you add the MP3 encoder option card that is around $250.00 dls. or perhaps a little more since Korg did announce an increase in the price in the PA800 and PA2X. since these models are made in Italy, I do not know if this will affect the PA500 since is made in China. I also have as backup the S900, to bad you are so far, I am selling it, I do not use it at all. Che ! !, the PA800 has a wonderful New Tango, it actually has several. THe Korg is excellent for Pop and contemporary music too, it has a little more "punch" (live), than the Yamaha, since is a more polish sound, more like a CD. Just for reference, the PA500 is a much better sound source than the TR. It allows you to create combinations out of 16 oscilators vs. TR's 4 oscilators. In my opinion, the pa500 is a better choice for the money according to the prices that you gave us! I have both in-stock and on display. It first depends on the type of music and situations you'll be using it for. the 500 is a couple of hundreds less expensive, so there are a few features it does not have. If you wish to create play lists for performing, you may wish to ask the members there how they make out. David that is exactly why I decided to remove the KORG Pa800 from my performance arsenal.....there were many things that I loved......VH, Navigation, Sliders, Song-list, etc, etc, ....but the meat & potatoes of any arranger is the access to hundreds of styles factory & conversion & this is where Yamaha trumps the competition through their availability & supported conversions. Choices have to made, workarounds have to be dealth with, weighing whats good FOR YOU & not what someone else expresses is a major concern. Ive been duped by hype, Ive been happy by choice, Ive been disappointed after my purchases in live performance, but I keep dredging on in my search for the "Perfect Arranger " for me, & hey, who knows? I might even be as happy as Diki one day & keep a KB for more then a year or so I surly hope so....we're getting close for sure. Thanks guys for your answers so far, they are very important to me. If I lived in USA I would have bought a Tyros2, no doubt. Here in my country the decision should be taken considering the most suitable for me and if it is worth the price of the arranger available. If I buy the Korg Pa500 I am afraid I could find quite similar sounds to the Korg Tr I already have. I know I won't have many extra styles but I would keep the PSR 1500 with thousands of styles and I could use the Pa as a module or vice versa. But are those Rx sounds so amazing? Are they articulated sounds like the S.A. of Yamaha? Is it the Korg Pa EDS sound engine different from the Korg Tr HI synthesis?. If I trade my PSR 1500 paying 2,000$ extra dollars for the PSR s900, instead of keeping my PSR 1500 and buying the Pa500 (1,595$), I would only get 90 high quality voices (I am not interested in all the extra functions nor polyphony) but I would also have ONE arranger not TWO one on top of the other what is harder to control. I know it all depends on personal preferences but I need the listen to those who know these keyboards. P.S. Frankieve I am waiting for you to open a new branch of your business in Buenos Aires.